Gov. Ahmed Agricultural Policies, Mere Window Dressing – Kwara DPP – Royal Times of Nigeria. 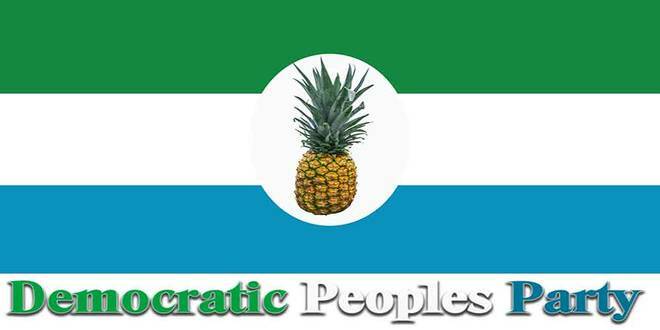 The Democratic People’s Party (DPP), Kwara state chapter has described Governor AbdulFatah Ahmed’s Agricultural policies as mere window dressing that has had little or no impact in the life of farmers and residents of the state. The party urged the government to stop deceiving the people. Disputing government claim that over 3, 000 people subscribed to the Off-takers Demand Driven Agriculture (ODDA) scheme in 2017, Koyenin said it is no news that majority of the subscribers are still lamenting over the shady deals by handlers. He said local farmers in several communities are still waiting for government agents that will help them market their farm produce as promised. “While the state government reportedly charged about 40 percent of loan given to farmers for clearing, security and other logistics, local farmers in Kaiama, Patigi, Lafiaji, Ekiti, Share, Oke-ode, Igbaja, Ilofa, Baruten and communities are still waiting for government agents that will help them market their farm produce as promised,” the statement said. The DPP Chairman accused the state government of giving larger percentage of the N1bn anchor borrowers’ loan to political farmers at the detriment of real farmers. Koyenin said, “Kwara state also gave larger percentage of N1 billion loan in the first phase of Kwara/Central Bank of Nigeria 2018 anchor borrowers’ programme (ABP) to political farmers that have no farm at the detriment of real farmers who will use the loan to contribute agriculture development of the state. Some of the failed projects cited by the party in the statement include construction of over 300km rural roads, the textile manufacturing deal signed with a Chinese company, and the promised 13, 000 hectares of farmland for 1, 000 unemployed youths to engage in commercial agriculture few years ago. “Recall that the state government promised to construct over 300km rural roads under RAMP in partnership within World Bank starting from June 2018, but nothing is happening in the rural areas till now. “The governor after his visit to China said they are discussing with one Chinese manufacturers of agricultural machinery to set up a factory in the state, We guess they will set up the factory after expiration of Governor Ahmed’s tenure.